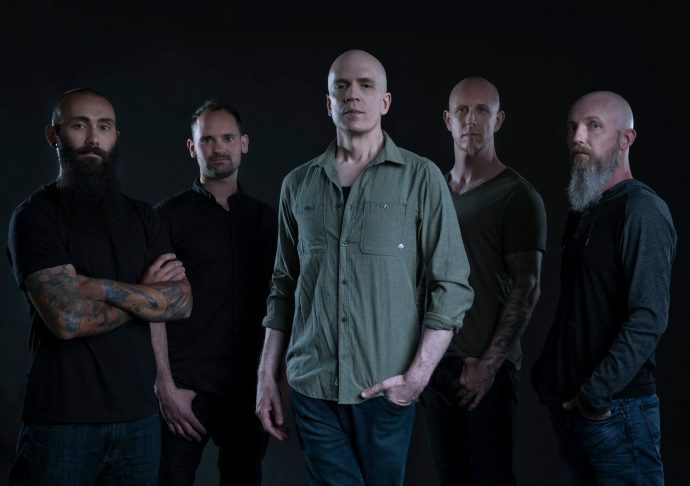 The man, the myth, the legend, known as Devin Townsend is certainly a creature of many contradictions. And, over the years, his various attempts to integrate and incorporate the many different facets of his nature have certainly produced some of the most compelling, creative, weird, and wacky wonders of Metal’s modern age. Love him or loathe him, you can’t deny that he’s one of the genre’s most distinct and idiosyncratic personalities. He’s also never been one to rest on his laurels, or try and go backwards. He’s said as much in interviews himself. And though there are doubtless going to be those who feel like he’s been playing it a little too safe recently (an accusation I wouldn’t necessarily refute, since the majority of Sky Blue felt like a poppier reworking of similar themes and ideas from Epicloud… which itself had its fair share of generic filler), he’s never consciously tried to resurrect or repeat his previous work. Each album is a unique statement reflecting a specific place and time, and a specific state of mind. Which is why you might be surprised to learn that Transcendence is the closest thing to the Accelerated Evolution days that Devin’s produced since… well, since Accelerated Evolution! It’s also surprising to note that Transcendence begins with a nostalgic reworking of fan-favourite “Truth” (the opening track to 1998’s Infinity) which, while undeniably larger-than-life and more extravagant than the original, simply doesn’t provide the same “wow” factor as the 2012 reworking of “Kingdom”. Maybe it’s because the production on Infinity still holds up impressively well in my headphones (in contrast to the slightly more lacklustre sound of Physicist), or maybe it’s because it just seems like a really odd choice to open an album of new material with a re-recording of an old track, but the decision to kick things off with “Truth” feels like a mistake to me. Not a major one by any means, but it left me feeling like the “real” album didn’t start until track two. Oh, but what a track two it is. Whether you agree with me or not about the re-recording of “Truth”, I’m pretty sure we’ll all be on the same page, if not the same sentence, word, and punctuation mark, regarding “Stormbending”, as it’s one of Transcendence’s finest, and most utterly fulfilling, numbers. More introspective, more sombre, but still as emphatically emotional and majestic as ever (the last two minutes alone are truly a thing of beauty), “Stormbending” instantly cements itself as a future classic, and just feels more vividly real and more truly substantial than anything else Devin has produced in a while. In fact, the above paragraph could be held to apply to the majority of Transcendence as a whole. It just comes across as a weightier and more tangible piece of work. Not perhaps as immediate or instantaneous as previous albums perhaps, but without doubt a more involved and more intimate experience when all is said and done. Whether it’s the indulgent, exploratory proggery of “Failure”, the intergalactic operatics and stellar symphonics of “Higher” (complete with some surprisingly heavy moments of cathartic cosmic crush), or the soaring sincerity and eloquence of the sublime “From the Heart”, this doesn’t feel like it was made for the masses, or even for the fans. And it definitely wasn’t made for a musical. It feels like it was made for Devin alone. Which is something of an irony of course, because Monsieur Townsend is on record as saying that much of the music on Transcendence is the result of him loosening his grip on the creative controls a little and letting his bandmates collaborate and involve themselves in the writing process more deeply than ever before. See, I told you it was all about contradictions, didn’t I? It does seem to have worked wonders for the album’s coherence and creativity however, as the run of material from “Higher” to “From the Heart” – passing through the spellbinding “Stars”, the effortlessly atmospheric title-track, and the high-energy heroics of “Offer Your Light” – is nothing short of stunning. And even though the album is occasionally reminiscent of the Terria/Accelerated Evolution era (albeit, with a more solemn and mature, perhaps even a more dignified, tone) this seems less about making a return to past glories, and more a case of these particular albums sharing a similar mental space and mindset. Perhaps it might even indicate that the many disparate aspects and angles of Devin’s musical identity are finally beginning to find a way to cohere and coexist. Only time will tell. Like any journey there’s a few missteps along the way of course. 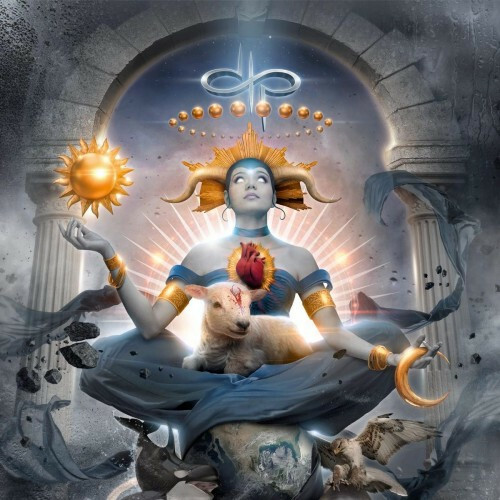 “Secret Sciences”, for example, definitely drags its feet a little (but probably employs enough familiar Devin Townsend tricks to satisfy the faithful) and doesn’t necessarily leave the strongest or most lasting impression. And while the climactic cover of Ween’s “Transdermal Celebration” is certainly an intriguing choice for a closer – and one which Devin and co go to great lengths to make their own – it doesn’t quite have the same impact as the truly soul-stirring strains of “From the Heart”, and its extensive ambient outro doesn’t really add anything to the album (or the song) but time. Still, despite these minor criticisms, Transcendence is (for the majority of its sixty-four minutes anyway) both a grower and a shower, and by some margin the most profound and most rewarding entry in Devin’s storied discography for some time. Transcendence will be released by Century Media on September 9 and can be pre-ordered HERE. Terria and Accelerated Evolution are my 2 favorite Dev albums, so any comparison to those is great! Funnily enough that was a really late addition to that last paragraph. It just felt like it needed a little zinger to make it work. Astounding album. The bonus disc is also one colossal beast too – how ‘Celestial Signals’ didn’t make the cut is beyond belief. And then there is ‘Nexus’….heaviest thing he’s done since SYL.